The longtime and popular tradition of pheasant hunting in Wisconsin will again take center stage! The fall 2018 pheasant hunting season opens statewide at 9 a.m. on Saturday, Oct. 20. The season will run through Jan. 6, 2019. Several other seasons also open that day including bobwhite quail, Hungarian partridge and ruffed grouse in Zone B. Like pheasant, the bobwhite quail and Hungarian partridge seasons open at 9 a.m. The ruffed grouse season opens with the start of legal shooting hours. Hunters should check the Wisconsin Small Game Hunting Regulations [PDF] for rules and season structures for the game species they will pursue. “Pheasant hunting offers a fantastic means to experience the outdoors, and it complements the other upland bird hunting opportunities in Wisconsin very well,” says Mark Witecha, Department of Natural Resources upland wildlife ecologist. 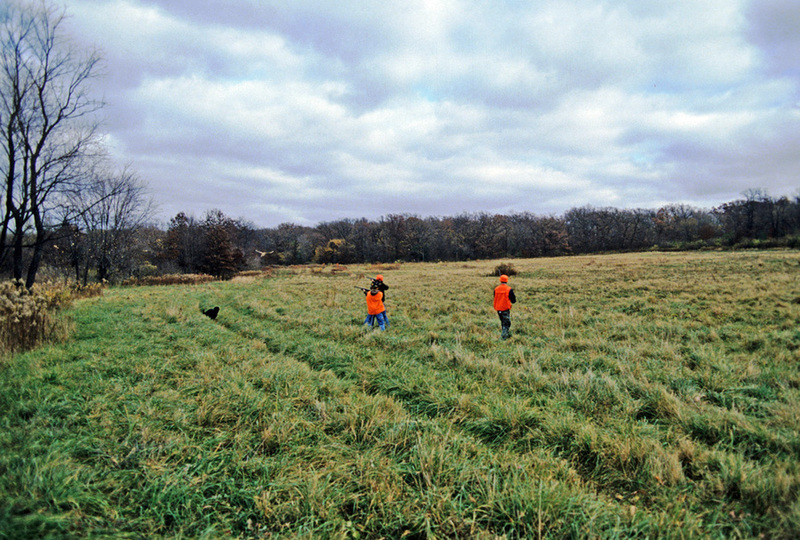 “Pheasant hunting offers the chance to explore landscapes and habitat types you might not otherwise see,” added Witecha. Pheasants are one of the most sought-after gamebirds in North America, and populations do best in the agricultural landscape of southern and western Wisconsin provided there is habitat present in sufficient quantities to meet their food and cover needs throughout the year, according to Witecha. The 2018 spring pheasant surveys in Wisconsin show that pheasant abundance is above the 5-year average with the highest pheasant detection rate in the west-central part of the state. To pursue wild pheasants, hunters should look for areas that contain adequate winter cover, such as cattail marshes and dense brush, intermixed with cropland, hay and idle grasslands which provide food and nesting cover. It will be important for hunters to identify areas with high-quality habitat, concentrating their hunting efforts in those areas, according to Witecha. During the 2017 pheasant hunting season, an estimated 42,450 hunters went out in search of pheasants and reported harvesting 301,490 birds. The top counties for harvest included Fond du Lac, Kenosha and Jefferson. In addition to wild pheasant hunting opportunities, the DNR wildlife management staff plan to release approximately 75,000 pheasants from the state game farm on 90 public hunting grounds. These numbers are similar to the 2017 stocking efforts. Pheasants raised by conservation clubs as part of the Day-old Chick Program will also be released this fall. The Day-old Chick Program involves conservation clubs that typically receive about 35,000 rooster chicks annually. These clubs release pheasants on public hunting land and private land open to public pheasant hunting. Hunters are reminded to be polite and notify the landowner before hunting on private property open to public hunting as part of this program.